Israel has become an epicentre of innovation and entrepreneurship. Globally recognised as a world leader, it has emerged as an exceptional investment hub and place where talent breeds. There are many contributing factors to the success of Israel’s unique eco system. From the necessity for self-reliance and lack of natural resources, to technological innovations in agriculture and the military, start-up Israel made the desert flourish. Pioneering in medical advancement to cyber security solutions has seen the likes of IBM, Google, Microsoft, Intel, Apple, Siemens, Cisco and a host of others acquire Israeli companies and set up research and development centres across the country. This will ensure they have a hand in the next Waze, bought by Google in 2013 for $1.2bn, or Mobileye, bought by Intel in 2017 for $15.3bn. Some 1,400 start-ups are established every year in Israel, according to Aharon Aharon, CEO of the Israel Innovation Authority. In the past three years, Israel’s dynamic start-up eco system has generated over $10bn in venture capital investments and has engaged in merger and acquisition activity to the value of $20bn. 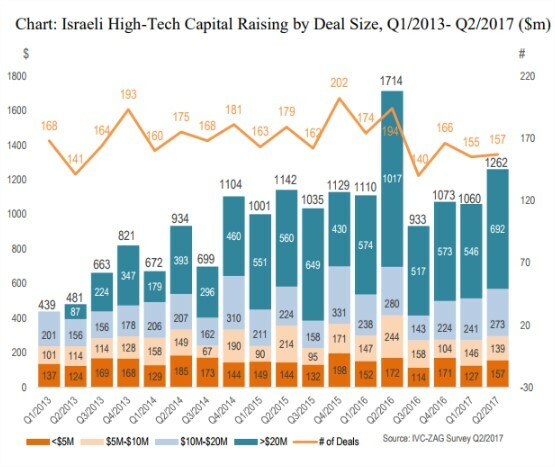 A record year was recorded in 2016 with Israeli start-ups raising $4.8bn in venture funding which saw exits worth $9.2bn. Israel has more Nasdaq-listed companies than any other country, after the US and China. The active engagement of government, which invests 4.3 per cent of GDP on R&D, is double the OECD average. This support has made Israel a leading player in technological innovations across a host of new industries. These include cyber security; artificial intelligence, IOT, machine learning and big data, biotech, cleantech and more. With a population of only 8.5m, Israel benefits from having a relatively small domestic market. Start-up founders and entrepreneurs focus on ideas and solutions that are scalable for the global marketplace. Its tech-savvy population are early adopters of new technologies, making Israel the perfect place to pilot products, prove concepts, collect data and perfect a go-to-market model. Private enterprise has also played a huge role. According to Avi Hasson, Chief Scientist at Israel’s Ministry of Economy, the private sector has made $4.8bn of VC investment in start-ups, 85 per cent from foreign investors.